Emma L. Yates earned her Juris Doctor degree from Loyola University Chicago School of Law. Emma was awarded a merit scholarship upon her entrance to law school. While in law school, she was part of the school’s Business Law Clinic, helping to set up for-profit and not-for-profit corporations. Emma was also an Associate Editor for The Loyola University Chicago School of Law International Law Review, where she edited publications written by well-known legal scholars focusing on issues involving international law. Emma came to Chicago for her undergraduate studies at Northwestern University in Evanston, Illinois. At Northwestern, Emma earned her Bachelor of Arts degree in Psychology, with a minor in German. Emma spent her junior year studying abroad at Humboldt University in Berlin, Germany. Upon graduating, Emma volunteered full time as an AmeriCorps member in Little Rock, Arkansas, where she led a community service and leadership development program for middle-school youth. In addition to fighting for fathers seeking custody and parenting time with their children, Emma has substantial experience working on complex contested divorce cases involving high net-worth clients who own their own businesses. Emma’s interest in family law began in law school, when she clerked for a firm with a significant focus on family law. 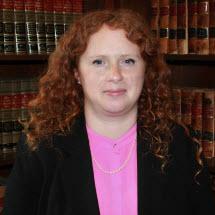 After graduating from law school, Emma entered private practice, where she has devoted her career to family law. Emma is frequently called upon to assist her clients in matters where division of marital and non-marital assets is a critical issue. For example, Emma has helped her clients achieve successful divisions of important marital assets and in protecting clients from the other spouse’s claims. Emma also has often helped her clients achieve very favorable property divisions of other marital assets, including retirement assets, bank accounts, investments, real estate, and other assets. Emma has represented many clients in post-decree litigation and has significant experience working with clients in cases involving maintenance (alimony) and child support. Emma also successfully represents her clients in matters involving the allocation of parental responsibilities (child custody), parenting time (visitation), grandparent visitation, and issues related to college contribution. Emma is licensed to practice law in all State Courts in Illinois by the Supreme Court of Illinois and before the Federal Court of the Northern District of Illinois. Successfully obtained an order awarding substantial parenting time to a military veteran who had not seen his son in several years. The father had been denied parenting time by his son’s maternal grandmother, who was the child’s plenary guardian. Protected an endangered child by prosecuting an action that resulted in a critical order restricting the parenting time of a parent who was an alcoholic, domestic violence abuser, and posed a serious danger to the mental and emotional well-being of the child. The order severely restricted the parent’s parenting time and required that all parenting time take place at a public venue. Obtained sole allocation of parental responsibility for fathers, in separate cases, with restrictions on parenting time imposed against the children’s mothers who resided with known gang members. Convinced the court to enter a temporary restraining order prohibiting her client’s wife from selling marital real estate even though the property was held solely in her client’s wife’s name. Successfully eliminated a client’s obligation to pay a four-figure monthly maintenance award to his wife by working closely with a private investigator and obtaining and offering evidence that client’s wife had been living with her boyfriend with whom she had a baby during the divorce proceedings. As a result, the court reversed its prior order awarding maintenance to the wife.